It is Friday and we are the day's stop on the Skeleton & Dust Blog Tour. 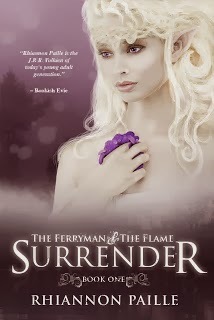 This is a Young Adult fantasy series by Rhiannon Paille and she is offering a tour wide giveaway. Follow the tour here. In the First Era, before Kaliel and Krishani fell in love, Tor runs. He escapes the Land of Kings and the tyrannical Valtanyana. In the depths of Tempia he forges weapons--The Flames--strong enough to oppose the Kings he betrayed. Aria, The Amethyst Flame, cannot touch the living or the dead and her kin are silent ghosts. 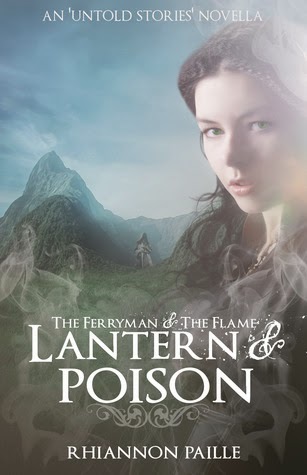 Hidden in a cairn deep in the haunted forest, Aria becomes obsessed with the Ferryman, the only boy who can feel her touch. 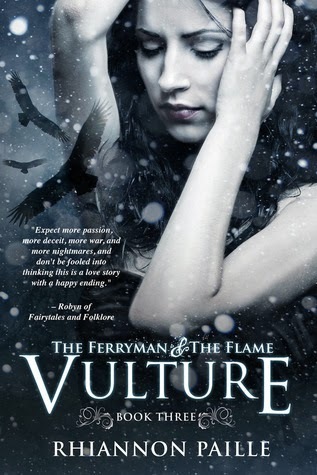 Before Aria knows it, The Flames, The Ferryman and Tor are swept up in the first war against the Valtanyana. “Nobody knows how to call the Ferryman,” Afton whispered when Aria was done. They stood side by side, Aria in her white gown and Afton in her light blue one. They didn’t hold hands because Aria couldn’t feel her, living or dead, and Afton clasped her hands together, whispering other things to herself. Aria was going to rebut her, but the boat appeared on the horizon and glided towards them cutting through the shapes of the clouds on the sea. Moments later it fetched up against the shore and the Ferryman glared at Aria. Aria couldn’t take her eyes off him, fighting the urge to burst into a shower of sparks. The same feeling she experienced the first time she saw him cut through her from head to toe as Afton stepped forward. “It was an accident. I ate the poisonous flowers,” Afton said boldly. “I—I don’t have a coin…” Aria could barely speak, her tongue feeling three times its usual size. The Ferryman withdrew his hand and went to push off the shores when Aria stepped forward and without thinking, caught him by the arm. Lightning shot through her fingers as she gripped the fabric of his cloak hard, the sensation of it under her fingertips surreal. She couldn’t help it; tears sprang to her eyes and slid down her violet tinged cheeks. The Ferryman wrenched his arm out of her grip and looked at Afton. “I will take you,” he said, his voice hoarse compared to its gravelly quality moments ago. When Afton was safely in the boat, the Ferryman turned to Aria. “You owe me. I will return to collect.” He pushed off from the shores and disappeared in a cloud of mists. Aria couldn’t think straight as she watched them go. Had she really touched him? Was that what it was like to touch something? She expected her form to move through his the way it had with the ghosts and the people and the trees, but with the Ferryman it wasn’t like that. Where he was, he was solid. And it made her giddy. Skeleton & Dust features a richly detailed and easily imagined fantastical world. Rhiannon Paille describes her worlds with the eye of a painter, not forgetting even a minute detail others may easily overlook. As this novella opens, we meet Tor as he leaves his mate's tent and heads to the mountain. Immediately, we are privy to his skill with special grey dust particles, but there is more. So much more. As he crafts weapons inside the volcanic mountain of Tempia, these are not just weapons for a common man. Tor is far from common. As each weapon emerges from the molton lake, Tor individually names them, sorting them into piles according to their ability to destroy. They are The Flames, special weapons he plans to use for the war he knows is coming to this land's shores. And what they--the ones who will emerge from the gray masses of clouds above, the Valtanyana--want is him. One of these weapons is a young woman, Aria, a spectral being who changes as Tor and she head back to the village. Aria is the Amethyst Flame, her purple tinged hair and eyes the reason for her name. The story, told in third person, simply doesn't belong to Tor alone. Aria becomes a special force, traveling with Afton to visit The Ferryman. When she meets to ask him to allow Afton passage, she reaches out to implore him to do her bidding. One touch ignites an obsession in her towards this young man. What struck me most about this novella was the gentle way it read. Yes, there is a war coming and weapons are being forged, but the feel of the story makes it something else, something a reader can appreciate. 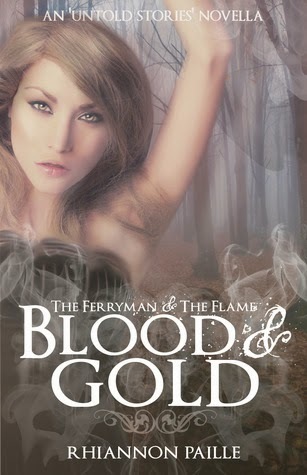 The words create a mystical, gorgeous land inhabited by elvens, an escaped god, a human-like flame girl and a mysterious Ferryman visibly affected by a touch. What exists in its haunted woods? 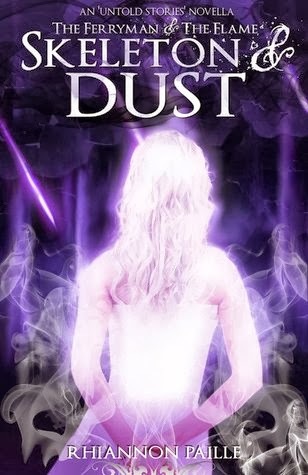 Skeleton & Dust reads like a beautifully imagined world filled with intriguing beings. The pace is languid, providing an ease to slip into this visually stunning story I easily imagined as a movie the more I read. The story captured my attention from the moment Tor's feet touched ground. 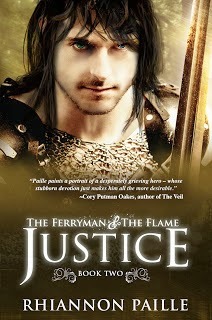 The Ferryman and the Flame is a series I must make time to read. Every cover for this series is awesome. Visually stunning covers to match what I must presume are equally visually stories inside. The art is gorgeous and I really like the fonts. I received a promotional copy in return for my my honest review during a blog tour. 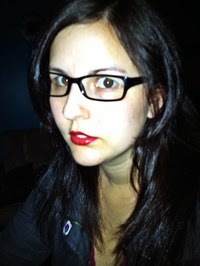 Rhiannon is an up and coming Indie Author that writes Young Adult Fantasy books and some non fiction. She has a PhD in Metaphysical Science and Parapsychology. When she’s not writing books she’s reading minds, singing karaoke, burning dinner and sipping iced cappuccino despite her allergy to coffee. Some day she’d like to own a unicorn—as long as it doesn’t eat her. She's sold over 25,000 copies of her books worldwide. Thanks Laurie for your awesome review! So glad Skeleton & Dust kept your attention!